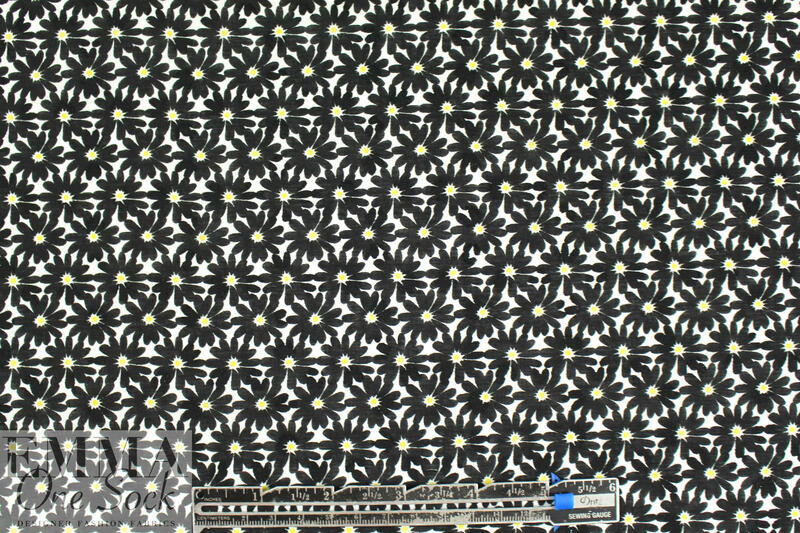 From a NY designer, this is a wonderful blouse weight printed cotton jacquard with a sweet stylized little floral design in black, yellow and white (PANTONE 12-0727, etc.). 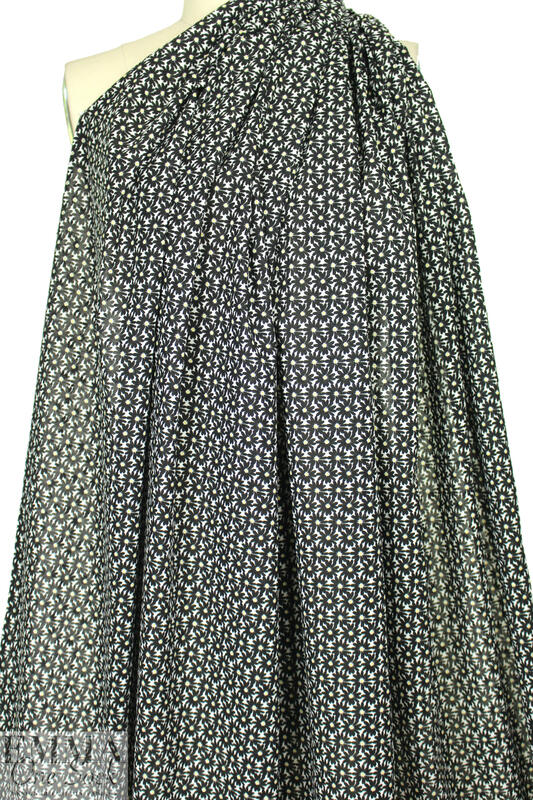 It is semi-opaque with a cottony drape and the texture from the jacquard weave makes it look and feel a bit like seersucker. 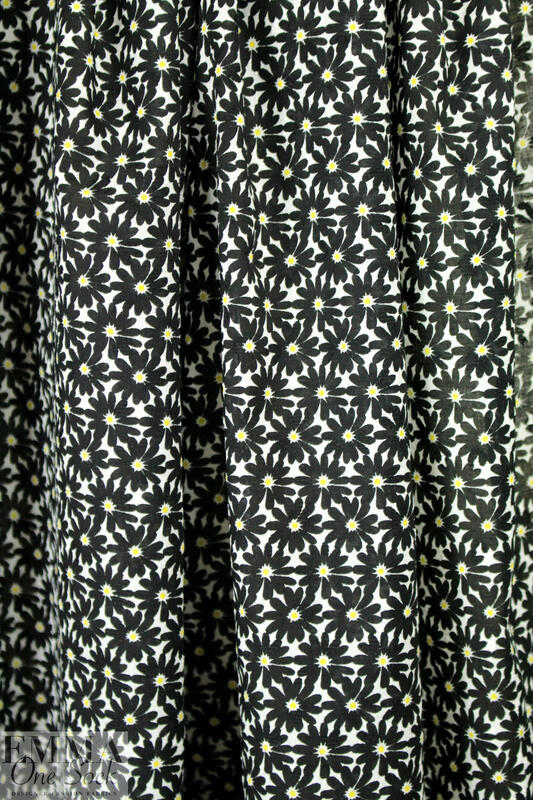 This fabric is perfect for a shirt or blouse, top, tunic, or line for a pretty dress or skirt. Please test first if you wish to hand wash and hang to dry, or dry clean.